A report released Tuesday underscored the military’s central role in San Diego County’s economy, but warned that automatic federal budget cuts could begin to be felt in 2015. “On balance, military remains a key economic driver for the San Diego region. However we are now seeing spending begin to level off,” said Dr. Lynn Reaser, an economist at Pt. Loma Nazarene University and the author of the study. She said direct spending will likely decline by 1 percent in 2015, resulting in a loss of 7,000 jobs, following growth of 22,000 jobs in 2014. 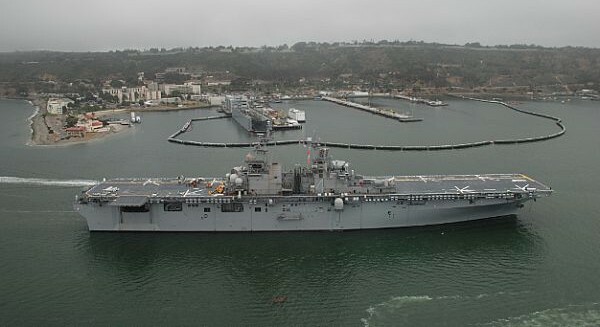 The military’s “pivot” to focus on the Pacific may buffer the impact on San Diego, she added. The cuts are part of “sequestration,” across-the-board reductions in federal spending that began in 2013. The San Diego Military Advisory Council‘s annual Military Impact Study quantified the impact of the Navy and Marines Corps installations and the supporting defense industry in San Diego County. It was released at a press conference attended by military, political and business leaders, including San Diego Mayor Kevin Faulconer, Assembly Speaker Toni Atkins and Rep. Scott Peters. Reaser, said total military spending in the region in 2014 was up nearly $1 billion compared to 2013. She noted the military cluster in San Diego is as large as the economy of Albuquerque, NM. Faulconer said the report shows the importance of the defense industry ecosystem in producing highly skilled jobs. “That is something that San Diegans support and it is something that San Diegans cannot and will not take for granted,” he said. Peters, who serves on the House Armed Services committee, said he and his San Diego County colleagues on the committee, Susan Davis and Duncan Hunter, were committed to protecting the region’s military economy.